Four types of transformation to aromatic representation are implemented in Marvin, all of them are based on the Hückel's 4n+2 rule. All transformation methods work only in structures which are in non-aromatic representation. 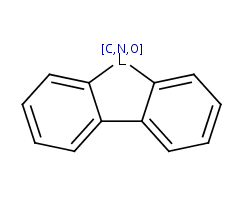 If the molecules are in partially aromatic form (containing any aromatic bond) the transformation method may fail. None of the methods can recognize homoaromatic systems. 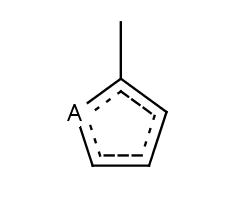 Process: locate the ring atoms in the molecule connected with single and double bonds respectively, sum the number of pi-electrons and if the Hückel's rule is valid, then the ring is aromatic. Ring systems are also checked. Rings with less than 5 members are not aromatic. The method is the same as used by Daylight. 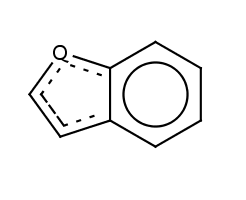 Locate the ring atoms in the molecule connected with single and double bonds respectively, sum the number of pi-electrons and if Hückel's rule is valid, then the ring is aromatic. Ring systems are also checked. The atoms at the generated ring system may not form a continuous ring like in benzo[de]chromene (SMILES: O1C=CC2=CC=CC3=CC=CC1=C23) where all atoms of the molecule are in the ring system generated from the three 6 membered ring. Oxygen and sulfur can share a pair of pi-electrons. Nitrogen can also share a pair of pi-electrons, if it has three ligands, otherwise the sp2 nitrogen shares just one electron (as in pyridine). An exocyclic double bond to an electronegative atom takes out one shared pi-electron from the cycle, as in 2-pyridone or coumarin. 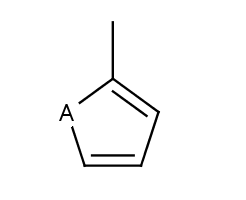 This type of aromatization checks 5-membered rings with bond pattern similar to pyrrole and having A, AH, Q, QH, atom list (with ambiguous atom types) or not list at the N position (with the two single bonds). 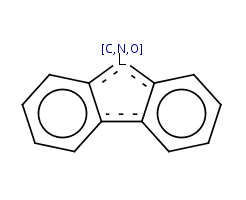 In that particular ring, the bonds are replaced by "single or aromatic" and "double or aromatic" bonds. 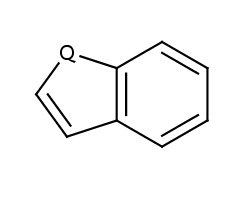 In case of 5-membered ring fusion with aromatic rings, the aromatic ring is aromatized first.